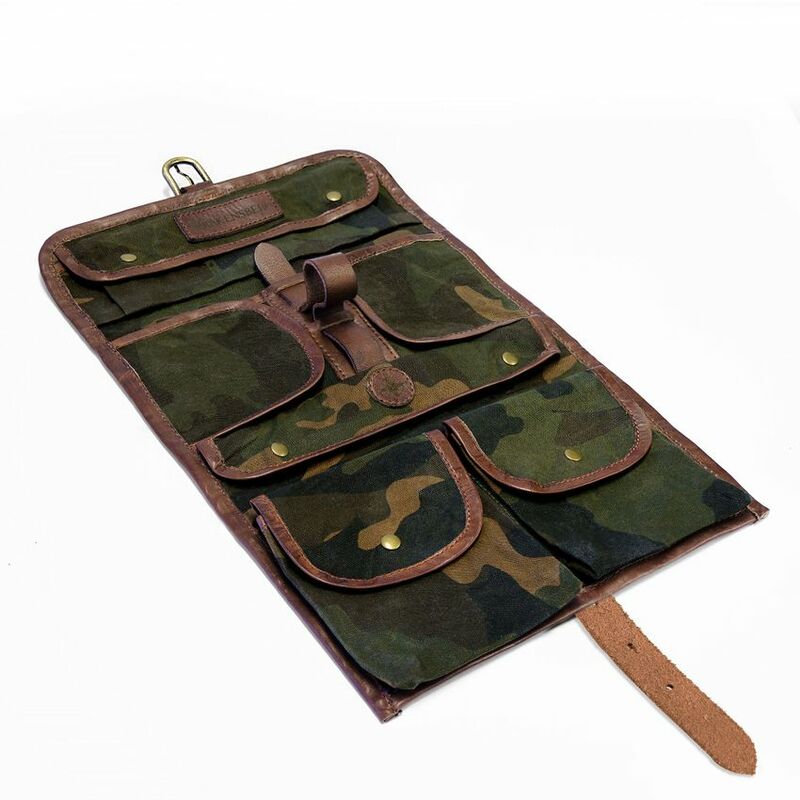 VINTAGE-DESIGN WASHBAG: The practical toiletry bag in camouflage design with 4 interior compartments makes a true fashion statement for the traveller. EXTREMELY VERSATILE: Particularly suitable to carry cosmetics and shaving equipment, but also for tools, writing utensils and valuables. AUTHENTIC DETAILS: An interior leather strap elegantly fastens, razor, shaving brush and tooth brush. The bag can be hung from its metal clasp. WATER-REPELLENT & ROBUST: The wash bag is made of waxed canvas nylon and strong Italian vachetta leather. GIFT BOX: The bag comes in a pretty gift box. The wash bag is marked by top-quality finish. All wear-and-tear points are hemmed with leather. In addition, the backpack is reinforced in all stress points. 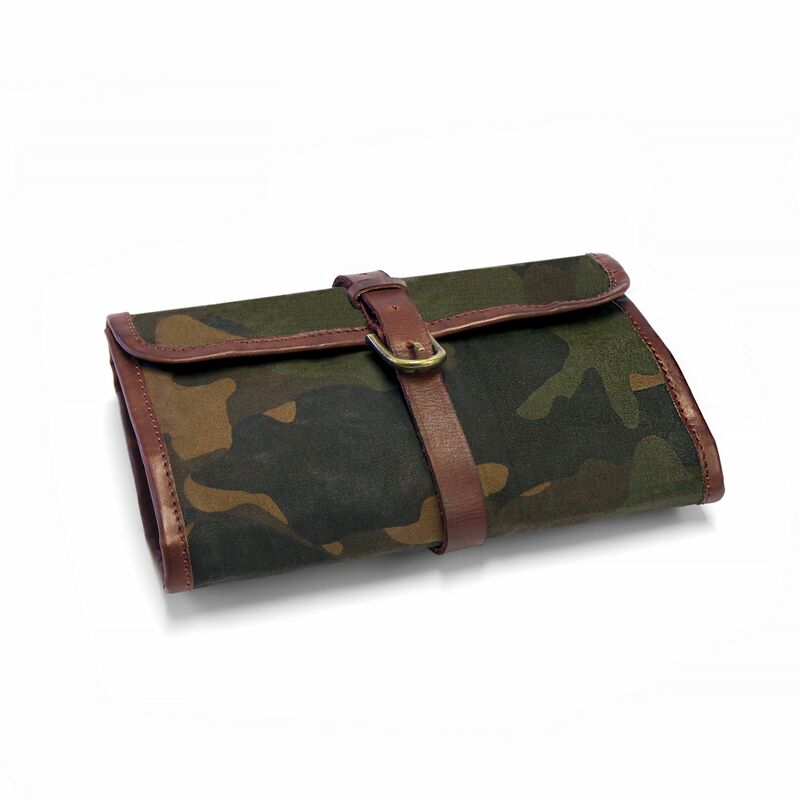 The practical toiletry bag in camouflage design with 4 interior compartments makes a true fashion statement for the traveller. 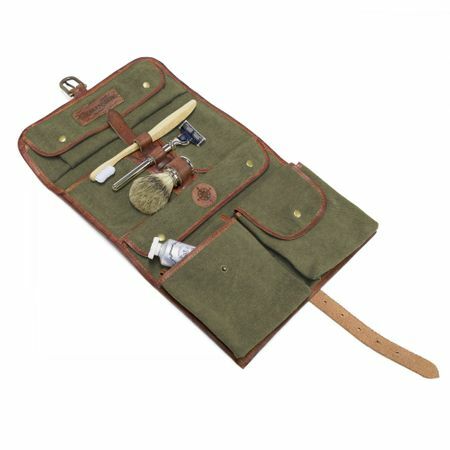 Particularly suitable to carry cosmetics and shaving equipment, but also for tools, writing utensils and valuables. An interior leather strap elegantly fastens, razor, shaving brush and tooth brush. The bag can be hung from its metal clasp. 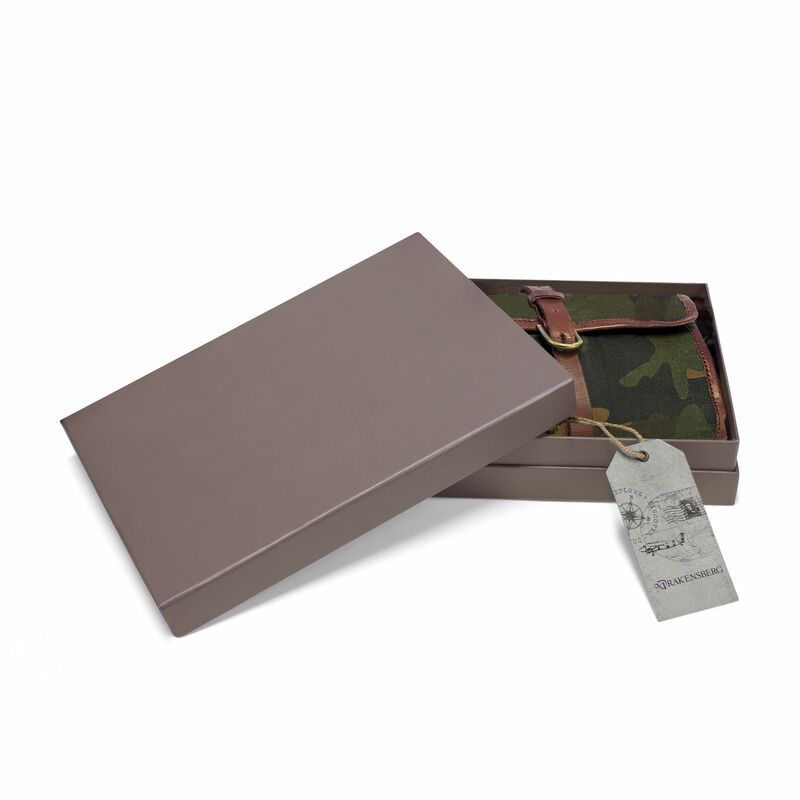 The wash bag is made of waxed canvas nylon and strong Italian vachetta leather. The bag comes in a pretty gift box. 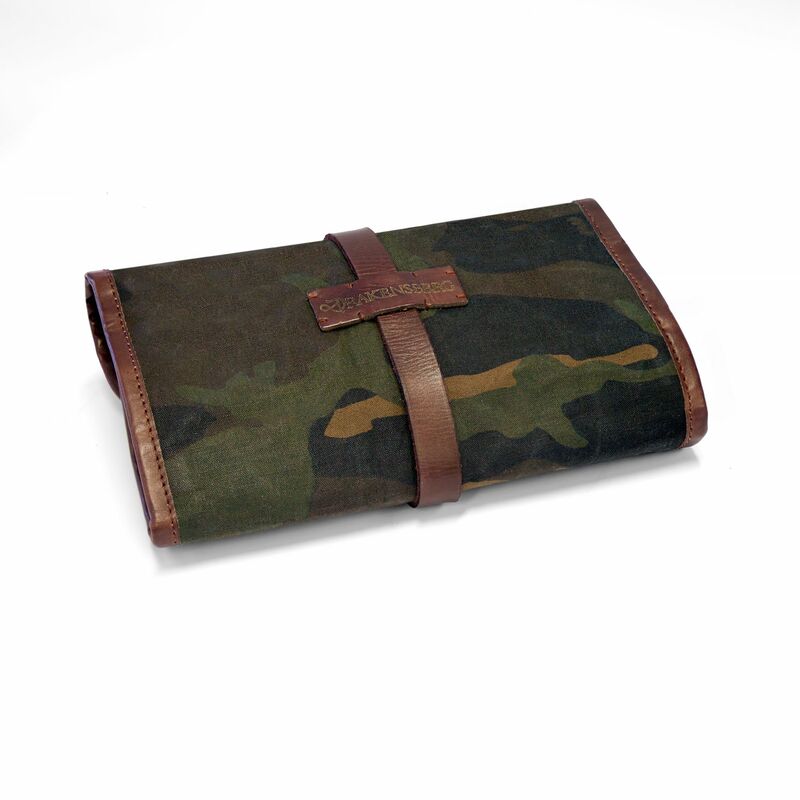 There is no rating for KIMBERLEY - Wash Bag - Camo.